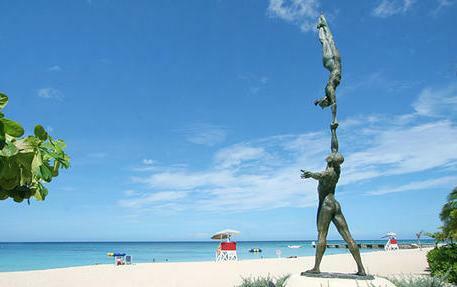 Your Doctors Cave Beach and Montego Bay Hip-strip excursion begins directly from the Falmouth cruise ship port. 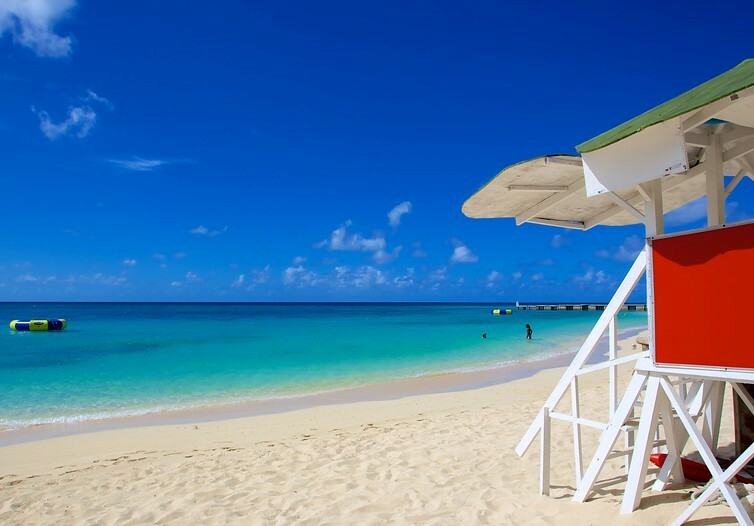 Enjoy an entertaining sightseeing drive from the port of Falmouth to Jamaica’s second largest city--Montego Bay. 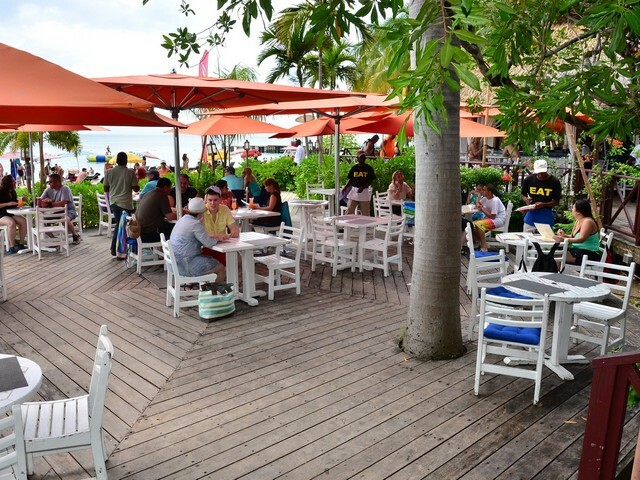 Lounge on the ivory sand, swim in the warm crystal clear waters and enjoy a bottle of ice cold Red Stripe beer. 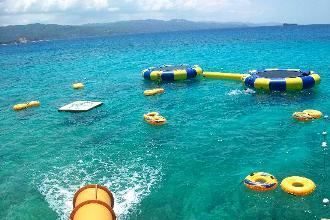 Grab some snorkel gear and marvel at the stunning variety of marine life in 15-acre Montego Bay Marine Park. 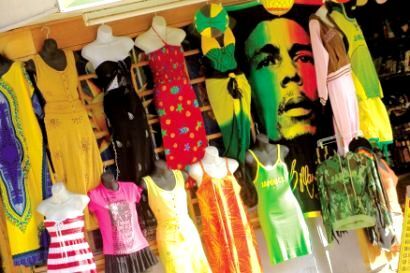 Take a stroll along the Hip-strip for a little shopping, Margaritaville or enjoy authentic Jamaican lunch at the Pork Pit. • Entrance fee to Doctors Cave Beach is not included in cost. Good experience, good driver. Would use jaital again. It was a terrific excursion. We had a good experience on our trip. Everything was good. You were easy to find and you picked us up on time. My only complaint was having to wait for stragglers in the morning after we worked so hard to be on time. We had a wonderful day. Our driver was very knowledgeable and entertaining. He talked to us about his hometown Falmouth and Jamaica as a country. He delivered us safely to the beach and picked us up outside the gates. Our stay at the beach was wonderful. The food from the restaurant was actually very good. I would do this again and hopefully get Vernon as our driver again! We felt very safe and that we were in good hands! Our experience with Jaital went extremely well. Booking was quick and easy.. Met driver at port who was extremely friendly and explained very well how the trip to and from Doctors cove was going to work. When arrived at beach he introduced us to a contact person there if we wanted to change pick up time or had any problems. Rode in clean air conditioned van and He gave us information along route on Jamaica and safety for the area while at beach. Clearly explained pick up time and location. Felt very well cared for and experience went smooth. Would definitely book with Jaital again. We had a good experience on our trip but it was longer than we had expected because someone at the Rose Hall excursion wanted to stay longer so we all had to stay longer. Vernon our first driver had a wealth of knowledge and a really wonderful personality. It was a pleasure to be in his care. The second driver was also very thoughtful and helpful, I simply can’t remember his name. I would also offer that the bus / van was very neat and clean. A nice bonus! The beach was beautiful. Very clean and well kept. The staff were welcoming and accommodating. Food and drinks were excellent and not overpriced. The snorkeling was fantastic, big reef to swim around and lots of beautiful fish to see. There were a few local vendors walking on the beach that would approach us, but they were not pushy or aggressive. Lots of security present so we felt very safe. The driver was incredibly nice and did an awesome job. We greatly appreciated the professionalism of your driver. We will recommend your company without hesitation to our entourage. Thank you so much for a wonderful excursion day in Jamaica from our Celebrity cruise ship Silouette. This was our second experience with your group and you again did not disappoint. Your web site was easy to understand and book. Our driver, Vernon, met us at the pier as arranged and drove our group of 6 to Doctors Cave Beach for a lovely day and picked us up at the prearranged time. Vernon was friendly, helpful, and professional and the van was clean and comfortable for the 40 min drive. We all thoroughly enjoyed our beach day swimming, sunning, and snorkeling. Drinks and food were served to us by dear Ava from the restaurant adjacent to the beach. I enthusiastically endorse Jaital. We had a great time. Tory was very polite and ensured we were admitted to Doctors Cave. 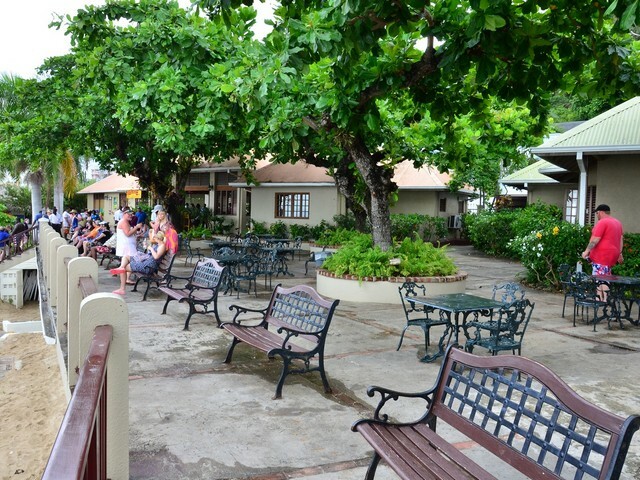 We will recommend you to any friends travelling to Jamaica and we will see you on our next trip! Once we met the Jaital employees things went great. We confirmed our reservation and waited approximately 20-30 minutes for other guests to arrive. My wife and I along with two other couples were escorted to a Jaital van, which appeared to be brand new and in excellent condition complete with air conditioning. We dropped of one couple at the Hilton Resort and proceeded to Doctor's Cave Beach. The driver was very nice and polite. He offered a tour as we traveled and answered any questions we had to the best of his ability. Once we arrived at Doctor's Cave Beach in Montego Bay, He escorted us to the cashier and explained things to us and told us he would be back at 3:00pm to pick us up right outside the entrance. We had a great day at Doctor's Cave Beach. He was right back exactly where he said he would be approximately 10 minutes early. During the return trip again he answered any questions and provided information about Jamaica as we passed places of interest. He even offered to stop at a few places if we desired. We were returned to the port with plenty of time to shop before we had to return to the ship. I would recommend Jaital and driver again without a doubt. I just wanted to thank you for sending us Vincente in Falmouth for our trip to Doctor's Cave Beach Pass. He was very prompt and knowledgeable about the area. He made our day very easy and we enjoyed our short time visiting this beautiful beach. We were very happy with everything!!! Your website was very clear and easy to understand you answered my questions in a timley manner when we arrived at the port we found our driver and transportation easy to find our driver was very nice the Doctors beach club was very nice and your price for this trip was very reasonable we would recommend your company to others who visit Jamaica thanks for a wonderful experience! Everything was great! Just as we expected! Our driver was very prompt and took good care of us. Would use your service and will recommend it! Thank you for a great day - we enjoyed our trip there and back! Jaital did a great job with picking us up, getting us there, and making sure we had the information we needed for a safe and successful day! Your driver was great. We had a nice day. I would recommend you to my friends. My experience with Jaital was a very good one. Desmond took care of the entire group he was funny and knowledgeable. I would recommend jaital to future cruisers. Great trip. Clean van with seat belts. Driver courteous. We are planning on using your service again. Our group indeed had a great time on our excursion to Doctors Cave Beach. Our driver/tour guide Peter did an amazing job. He was friendly, funny and very informative. At our request he came back early to pick us up and made sure we knew exactly what to expect on the entire trip. I will highly recommend my friends and family to visit your website and book a tour through your company for sure. We had a great time at Doctors Cave beach. Greetings from Colorado! Our day in Jamaica was EXCELLENT! Everything went just as describe in your literature. Timing was perfect and our driver, Peter, was absolute perfection. He got us to Doctors Cave Beach with no problems and picked-us up a the appointed time. Plus the beach was terrific! You guys are great...thanks. We want to thank you for a wanderful service. Jeff was our driver/guide and he was really professional. We will certainly come back to you again next time we are in Jamaica. The day went well! The driver showed us interesting sights along the way to the beach. Pickup was as scheduled. Thumbs up to Jaital! A wonderful experience to both me and my wife. The price and service were top notch. We already planning another trip next year..see you soon! We had a lovely day with Jaital and our driver who I\'ll call \"Peter.\" The only glitch in our day was not the fault of our driver but of another couple who we had to wait for and ended up being a no-show. Peter was professional, friendly and knowledgeable, the vehicle was spotlessly clean and we had a great day. Thanks so much!!!! A very nice day.I love Jamaica and cant wait to come back. Our driver was professional and on time. The beach was nice and clean with plenty of area to swim. all in all, a great day.